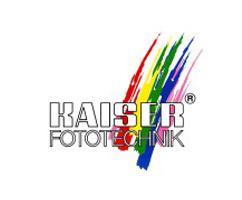 The Kaiser MultiTrig AS 5.1 stands out due to its very intuitive handling. Pressing the trigger halfway down focuses the camera, the full way releases it. 7 channels can easily be chosen by a button. The selected one is indicated by a clearly visual LED. Both transmitter and receiver can be switched off. 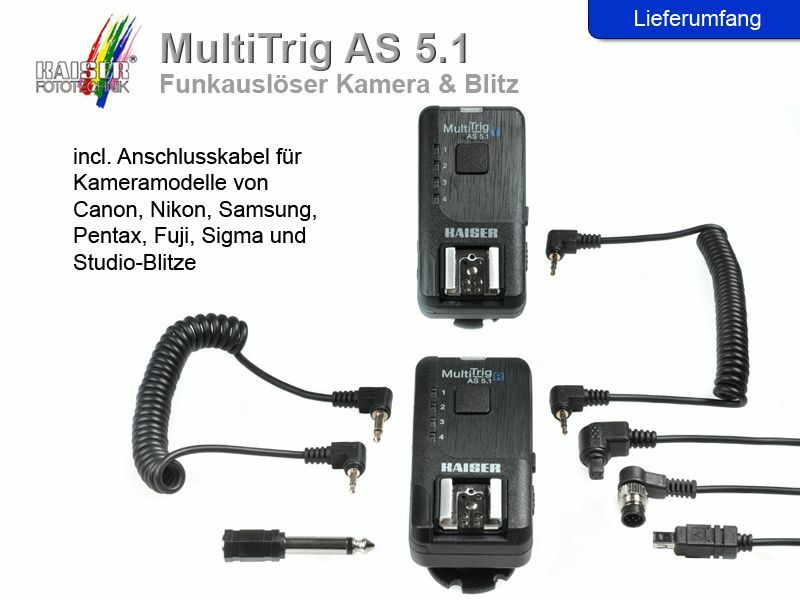 So batteries won’t discharge when the MultiTrig is not used for a while. 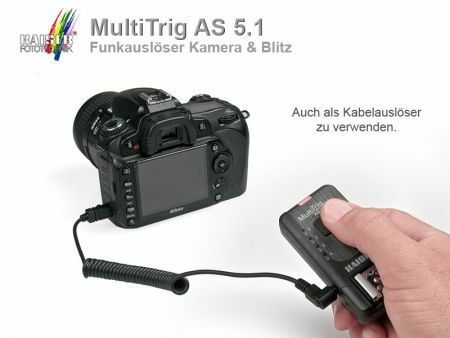 The MultiTrig can be used via cable or as a radio trigger. With it’s range up to 120m (depending on the surrounding conditions) there are hardly any limits set to the possible applications. 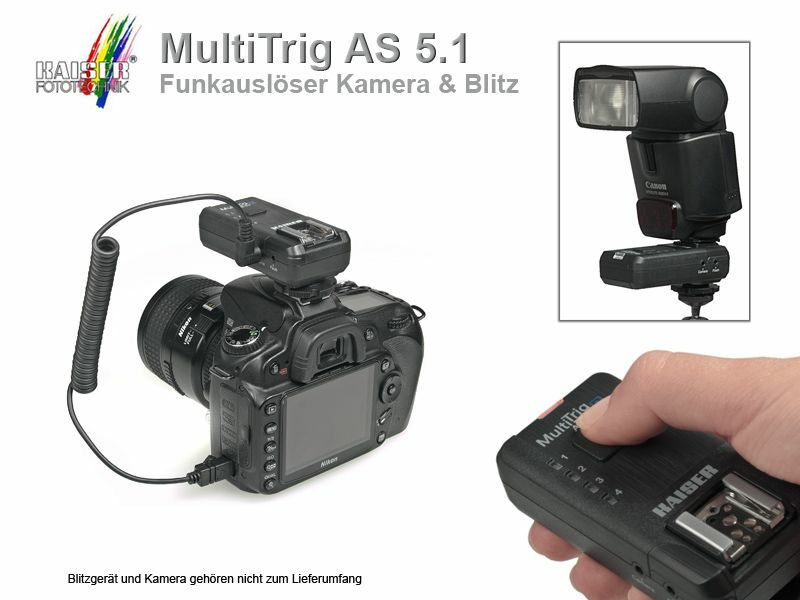 Next to single and multiple releases, the MultiTrig 5.1 can also be used for bulb exposures. An approx. 3 second push to the trigger will release the bulb exposure. The next push will end it. So the trigger must not be pushed the whole time. When the transmitter is set up to the flash shoe of the camera and a flash is mounted on the receiver, the MultiTrig 5.1 can be used as a remote flash trigger. 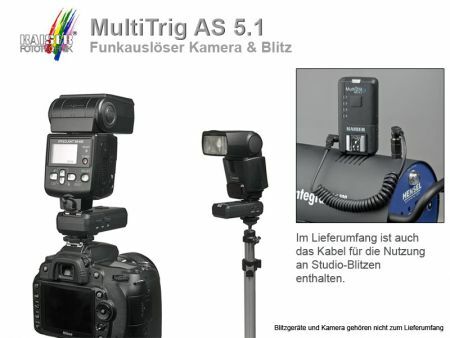 With the included cable the MultiTrig can also be used with studio flash units. 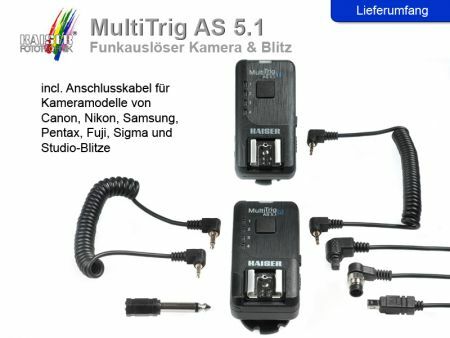 If you want to trigger more cameras or flashes, you can purchase separate additional receiver here. A connecting cord for Olympus cameras is not included, you can find it here!